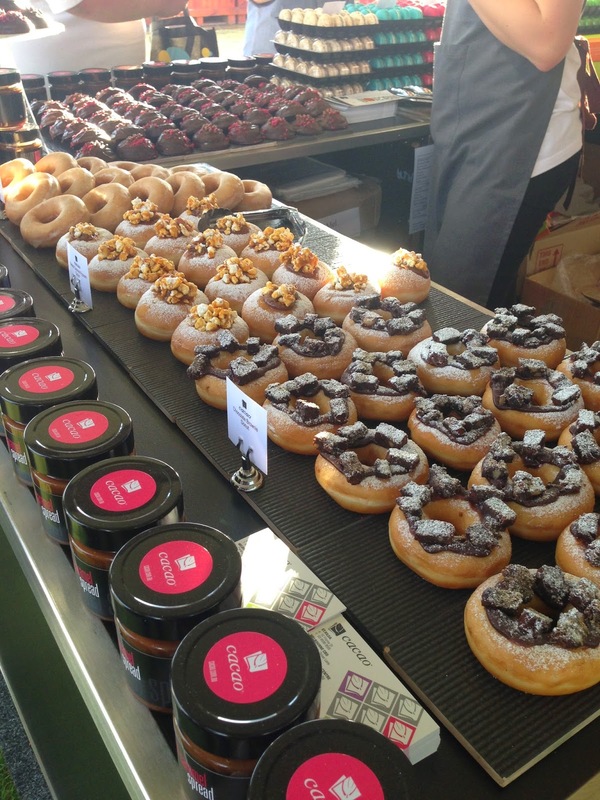 I love me a food festival, so naturally I get pretty excited when Taste of Melbourne rolls around. 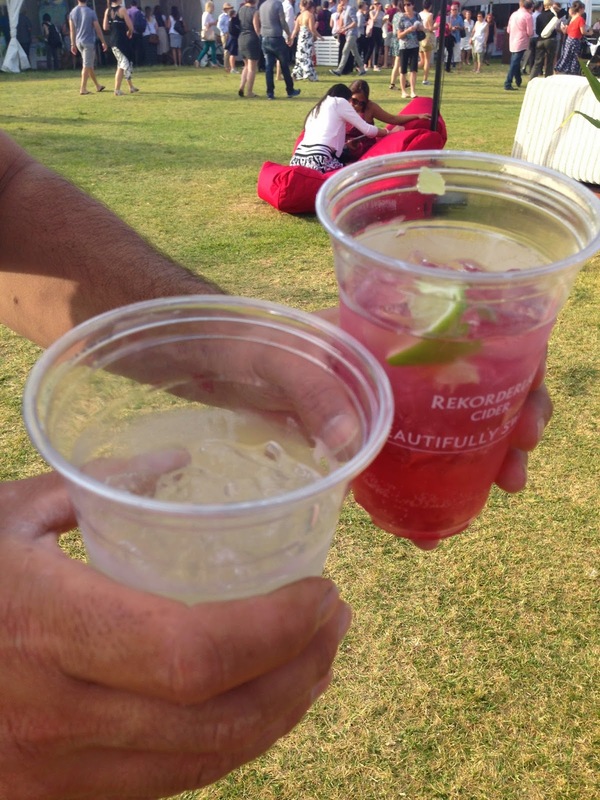 This is my round up of this years event. We hit the festival on day one, firstly because I couldn’t wait to get in there and try some amazing food, and secondly to try and beat the crowds. This year bubs was with us, so I knew it would be harder to make our way around with a stroller. It’s always difficult when the crowd is really big, and lets be honest everyone else hates the lady with a stroller, so this way (hopefully) we didn’t annoy too many people. We got in there on Thursday, right on opening time and the place was already buzzing. The first thing I noticed as I walked in the gates was the huge Taste sign and the Recorderlig Cider tent, and immediately I knew we were in for an great night (and let me tell you after a few of those pomegranate ciders I was having an AMAZING night). With cider in hand, we walked on over to one of my favourite places to get a burger, Huxtaburger. Given it was only 6pm, the queue was really small, so we had ordered and received our burgers in the space of 5 minutes. 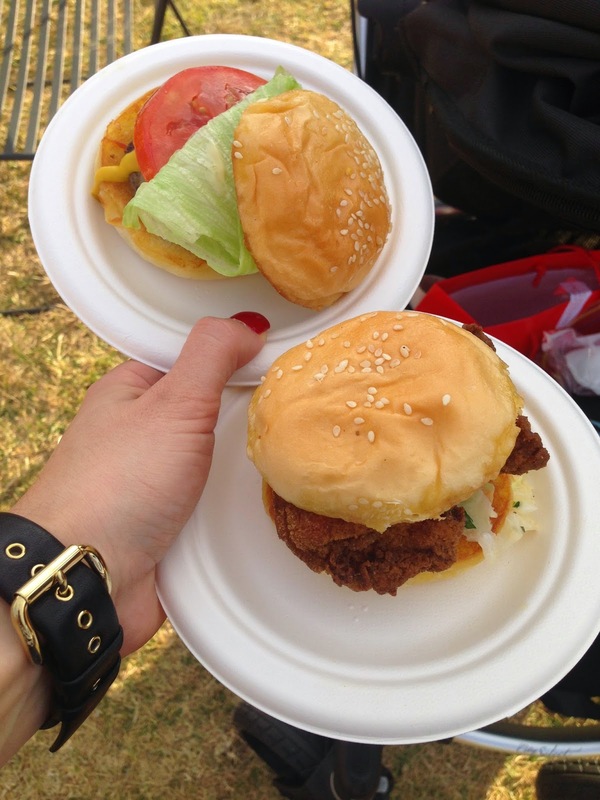 Normally when we go to Huxtaburger I order either a Bills (burger with the lot) or the Huxtaburger (cheeseburger), so last night we ordered the Huxtaburger Jr (mini wagyu cheese burger) and for something different we also ordered a Clair Jr (fried chicken burger). All I need to say is Clair, where have you been all of my life?? Why have I never ordered you before?? I mean the Huxtaburger was good, just like always, but Clair was amazing! Juicy, tender and down right delicious fried chicken, smothered in the perfect amount of slaw and jalapeno mayo. We only ate the one because we wanted to try some of the other amazing food on offer, but by 8pm we were back in queue for round two, only to find out that they had sold out of Clair. Clearly it was a hit with the entire crowd. Food stop number two for us was Mamasita. The queue was growing quickly, but the team there were moving through it just as fast. When I got to the front I was interested in one thing and one thing only, CORN. Uh ha, it has quite easily been 5 years since I last went to Mamasita, not through lack of trying, it’s just that every time we’ve tried to go in the past few years the wait for a table was a bit longer than my hunger could tolerate. 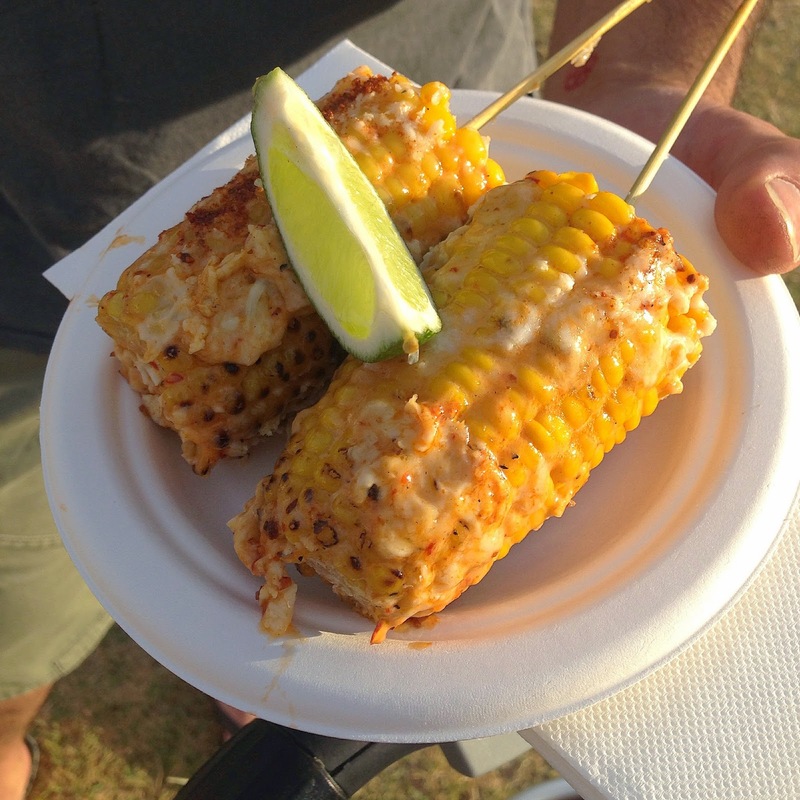 Anyway, back to the corn – tender, juicy and full of flavour, so much so that I ate mine and finished off my husbands one too. There is only so much that I can eat, plus I had to make sure that I saved some room for dessert (Burch and Purchese I’m looking at you), so at this point I took a breather, but the husband powered on. He got into the Wagyu rib at Brooks, although he was really disappointed, not worth the 12 crowns for one rib. Then he moved on to Pope Joan where he tried their roast chook and jalapeno roll and just about inhaled it, so I always take that as a good sign. Next stop was Uncle where he tried the Steak Tartare Betel Leaf (again, absolutely inhaled it) and the Wagyu Brisket, which was delicious, but tasted like it had been sitting there for a while. His last stop without me was B’Stilla (clearly the boy has an appetite), where he had the Chicken R’fissa Wrap, which he said was his favourite dish of the night. Big call, but I was so full by that point, there was no way I could fit one in. At this point I got a second wind, so we made our way to Movida and got our hands on the marinated lamb skewers. As expected, they were delicious. Incredibly tender, full of flavour (with a kick of chilli) and cooked to perfection. I was really glad that these were great, it has been a few years since I had been to Movida (Hosier Lane) which is awesome, but more recently I’ve had two not so great experiences at Movida Aqui (Bourke Street) which turned me off the whole franchise. Anyway great job redeeming yourself Movida. After this I was more than ready for dessert, so stop one was Cacao, I needed to get me some donuts for the road. 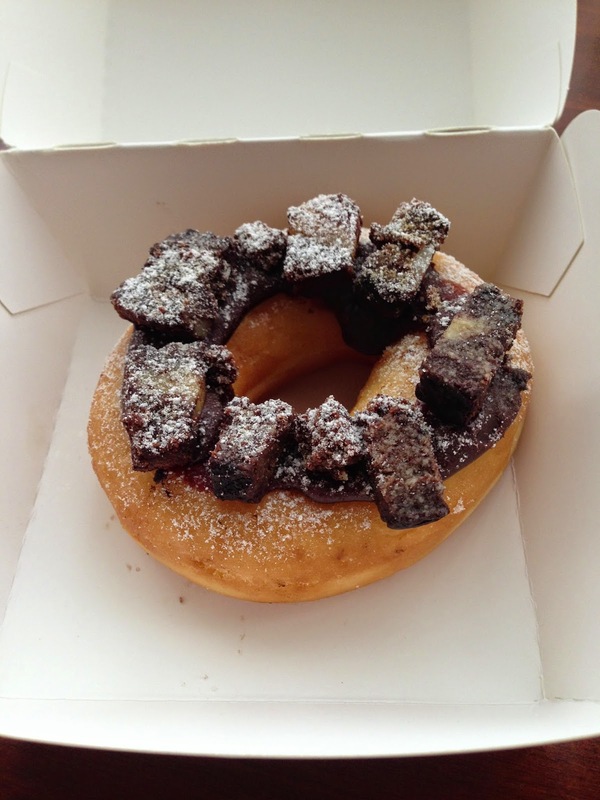 If you haven’t experienced a Cacao donut, go do it now! 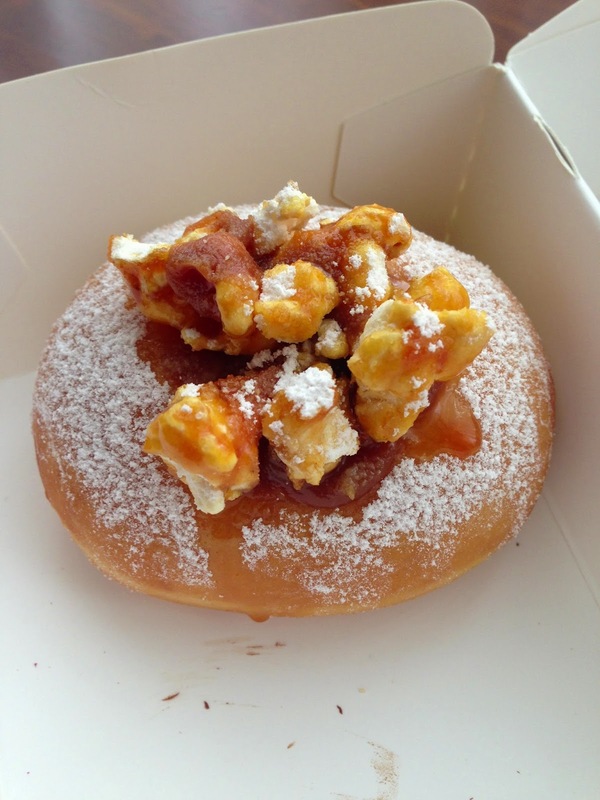 These are without doubt some of the best donuts I’ve ever had, so I picked up a chocolate brownie donut and caramel popcorn donut for the drive home (I tucked them away safely under the stroller for the remainder of the night). With our midnight snacks sorted, I made a bee line for Burch and Purchese. I love, love, love them (read my last Burch and Purchese review here), so I ordered two desserts, yep two (clearly I hit the gym today). My desserts of choice were the Choc, Caramel and Hazelnut Tart, and the dessert of the night, the Peanut Choc Ice Cream Sandwich. 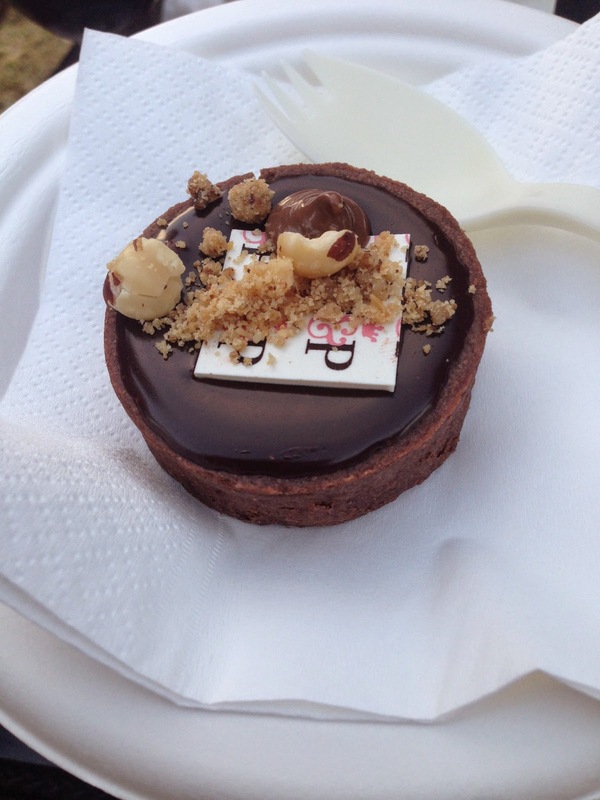 The tart was bite size, but an absolute flavour explosion in my mouth (look at me, fan much? 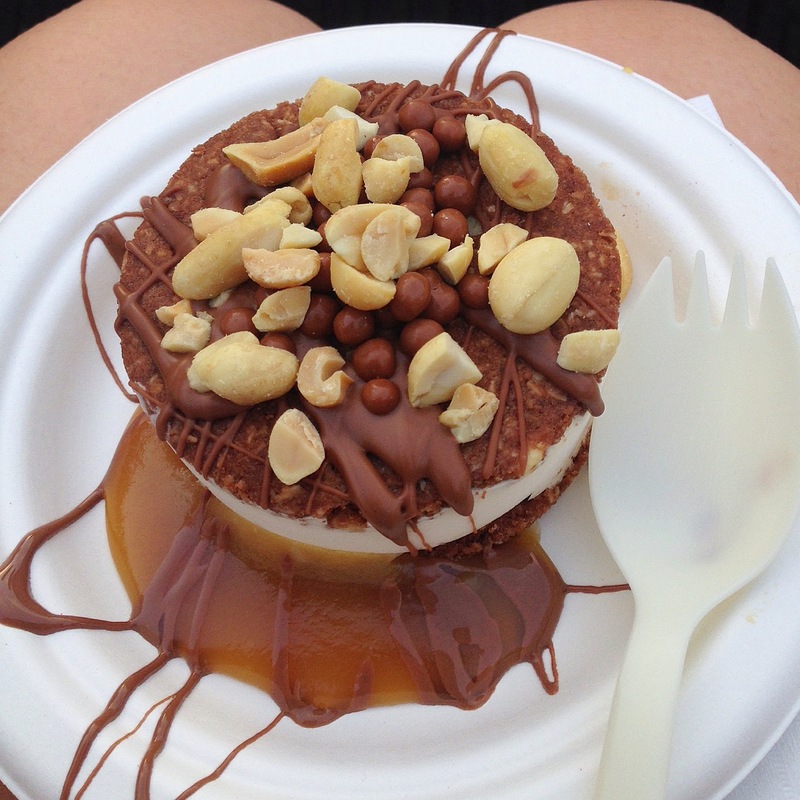 ), the only downside was that it had melted in the heat, so the caramel was leaking out of it and I was covered in it. The Ice Cream Sandwich on the other hand, stayed fully intact. It was incredibly rich and satisfying in the heat. By about 8.30, just about everyone I walked past was hoeing into one of these, so clearly they hit the spot with just about everyone. 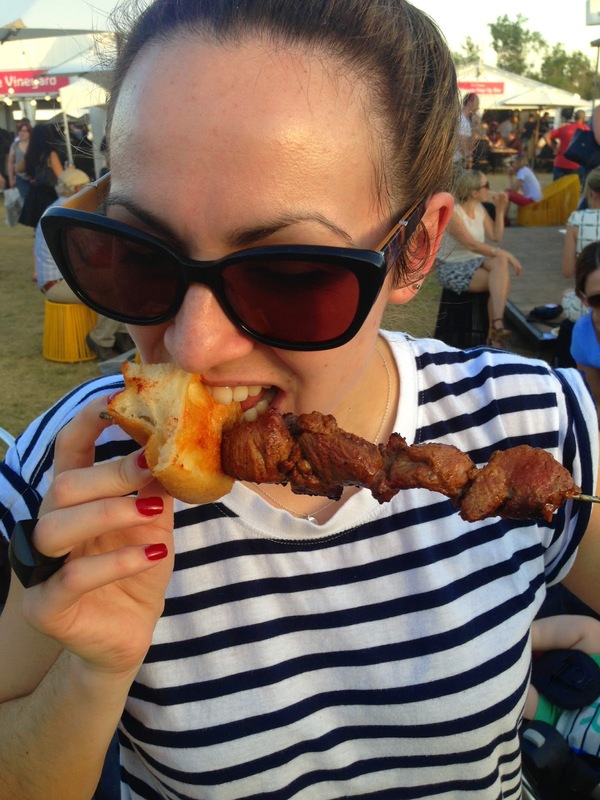 There were so many other great eateries on show, but there is only so much food this girl can eat in one sitting. I was a bit gutted I didn’t get into anything from Gazi or that ice cream from Pope Joan that everyone was talking about, but I literally felt like I was bursting at the seams. All in all it was a very very successful Taste of Melbourne, so much so, that I’m already looking forward the next year.